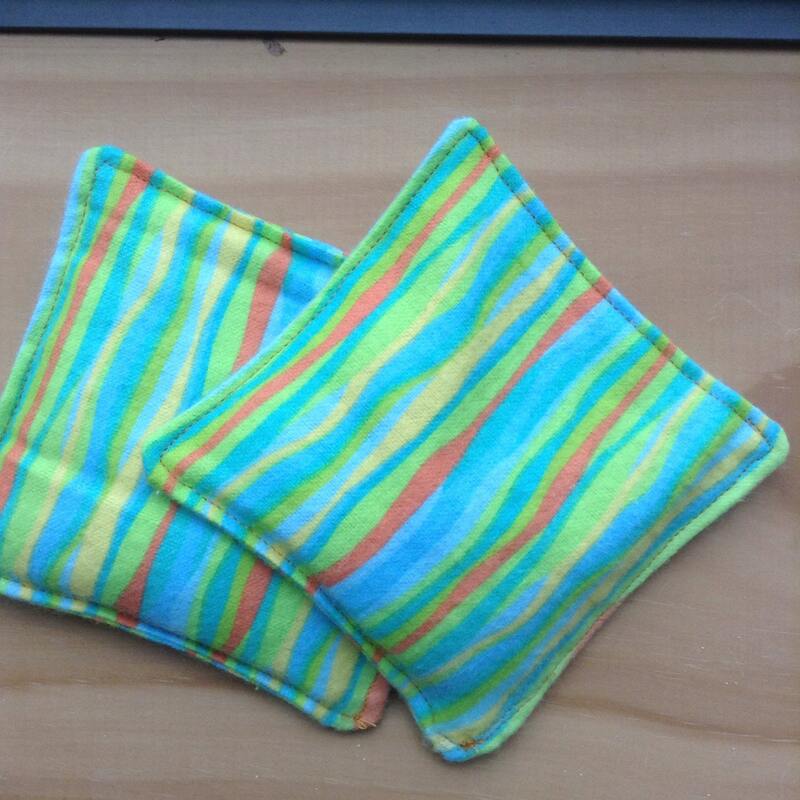 Hand Warmers are multi colored pastel striped print and can be used over and over again!! We love you hear your ideas for new uses, let us hear from you. ~Set of 2 approximately 4"x 4". ~Place in your coat pocket to keep your hands warm, in the freezer for use as Boo Boo ice packs or warm and use as a wrist pad for your mouse. ~ Enclosed in 100% cotton flannel print fabric. 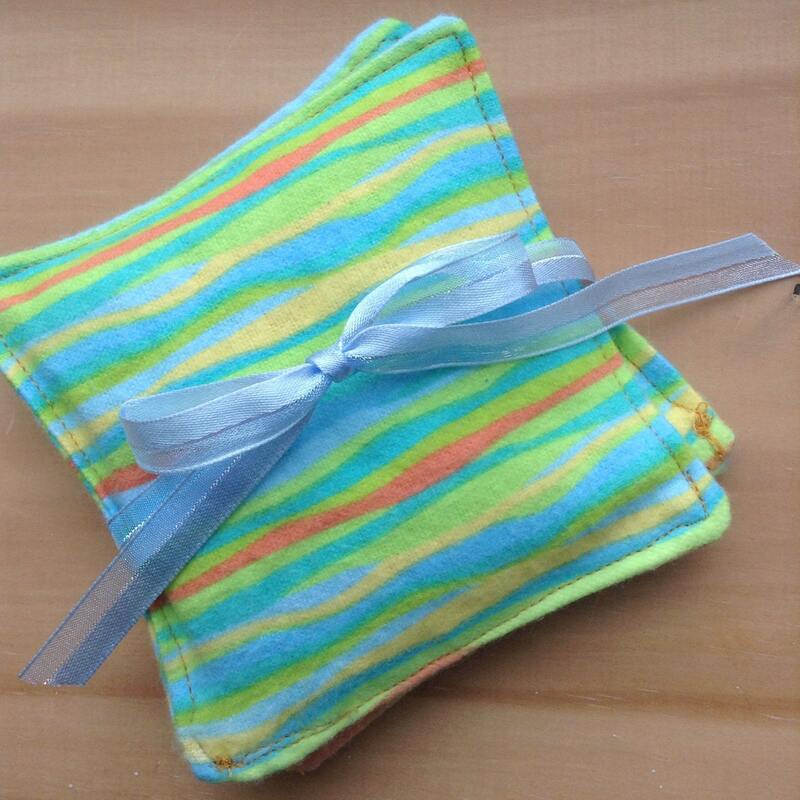 ~ Scented with Peppermint essential oils to sooth and relax. ~ For therapeutic moist heat application; heat the pack for 30 seconds-1 minute in a microwave to provide warmth for 20-30 minutes. Every 3 to 4 uses place a cup of water in the microwave to assist in moisture retention this will help extend the life of your pack. ~ For best results store pack in a sealed bag when not in use.